MANILA – A child rights advocate group reported that children evacuees of Marawi city suffer from trauma as they witnessed the death and destruction in their communities and were forced to leave their homes. The Salinlahi Alliance for Children’s Concerns reported how children are in a state of fear, sadness and anger, as they cited cases of children who were separated from their families during evacuation, and those who are with their families, but are having a difficult time at the evacuation site, which is within hearing distance of continued military operation in the city. As the conflict drags on, the group said, children and adults would suffer worse physical and mental conditions, as they stay in overcrowded evacuation centers that lack facilities, and worse, they face the uncertainty of the future, with their homes, schools and livelihood destroyed. 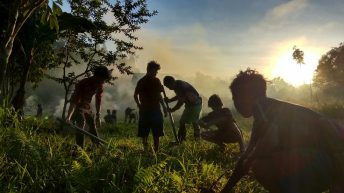 Salinlahi was part of the National Interfaith Mission (NIHM) that went to Lanao del Sur and Maguindanao on June 13 to 16, to provide relief aid and document the people’s situation. “During the mission, Salinlahi observed some children displaying alarming behavioral patterns which may indicate symptoms of trauma including fear, aggressiveness, inconsistent and destructive behavior, panic and confusion,” said the group in statement. At a forum June 29 in Quezon City, Salinlahi secretary general Eule Rico Bonganay called on government and the general public to provide more relief assistance to Marawi city evacuees, as well as rehabilitation program to help them cope with the worsening crisis situation. “In particular, the mission found an urgent need to establish a sustained program of psycho-social intervention to address the mental and emotional impact of war and dislocation, especially for children,” Bonganay said. 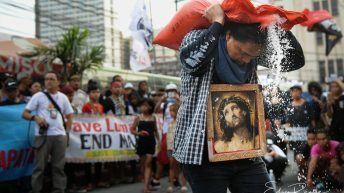 Members of the NIHM shared the report at the forum led by the National Council of Churches in the Philippines (NCCP) and the Moro-Christian People’s Alliance (MCPA), held at the Church of the Risen Lord in the University of the Philippines, Diliman. Following the clashes between government troops and a local armed group, President Duterte declared martial law in Mindanao on May 23, and gave the military full power to use any means to flush out the allegedly ISIS-affiliated Dawlah Islamiyah out of Marawi. Military operations, including airstrikes and artillery bombardment, are still ongoing in Marawi. 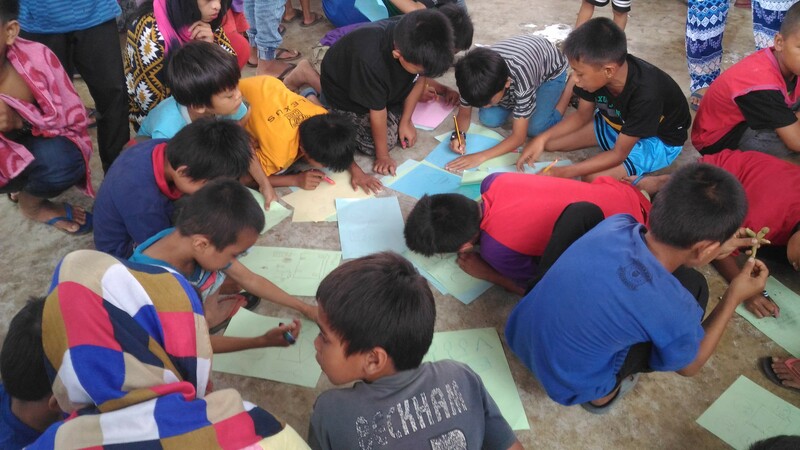 Bonganay said the NIHM held psychosocial workshop for some 300 children in two evacuation centers, in Saguiaran and Iligan city, Lanao del sur. “Children expressed their sadness over their displacement, as well as their appalling conditions in the evacuation centers…many also expressed anger towards the military who bombed their house,” Bonganay said. 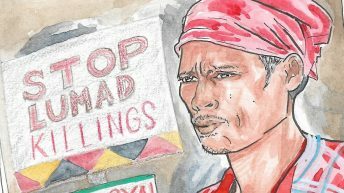 Aside from fear, he added that anger, both at the military and at the armed group led by the Maute brothers, was also a dominant feeling among evacuees. “They ask: ‘Why did this happen to us?’” Bonganay said. He recounted a few of the stories of hardship amid the clashes, as told by children during the workshops. One child recounted that he and his family spent a whole night lying on their stomach on the floor, as fighting went on outside their house. To fall asleep, the child covered his ears to muffle the staccato of gunfire and grenade explosions, while his mother uttered prayers. Bonganay said most of the children said they are used to seeing violence while growing up, with the occasional armed fighting between clans. But they were most affected when they saw bombs fell on their city, destroying homes. At the evacuation center in Saguiaran, which is only a 15 minute-ride to Marawi, children get startled from sleep when they hear explosions. “They run and embrace their parents,” Bonganay said. It was even worse for some children who saw dead people on the streets, particularly along the Bongolo Bridge where fierce clashes took place as the military tried to gain access to the city. “One child still has nightmares about the bodies he saw from his home nearby,” Bonganay said. Bonganay said children also expressed their hardship because of the lack of facilities in the evacuation sites. The NIHM also went to a private compound that was turned into an evacuation area in Iligan City. There was no electricity, there is lack of water, and the evacuees did not receive any relief aid because the compound was “not certified as an evacuation site” by the local government. When the facilitators probed, it turned out that the child was having a hard time just trying to urinate, because there were only two toilets in the site, one for males and one for females, shared by thousands of evacuees. 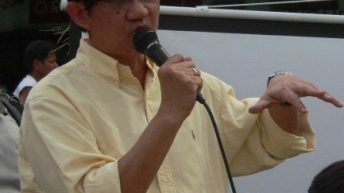 Bonganay also cited the lack of sanitation, which was especially difficult for women and young girls. The children also said there is lack of food for evacuees. One child drew the evacuation center, with a number of dots, depicting rice grains. These run out fast, and their parents are in constant worry where they will get food for the children. It is even more difficult for newborn children and their mothers, who are forced to stay in the evacuation center. Several deaths of children and newborns had been reported in various evacuation sites, from dehydration and the spread of curable diseases among evacuees. Health Secretary Paulyn Ubial herself told media that 59 evacuees had died, but later denied news reports. “What assistance is government giving them, aside from ‘monitoring’?” Bonganay said. NIHM delegates interviewed a teenager who did not have any family in the evacuation site because he was separated from them during the evacuation. He was alone, and does not know where his family is – if they are still trapped in the city or are in another evacuation site, he said. A woman in the evacuation site in Iligan City said some of her children got separated from her during evacuation, and she has no idea where they are. 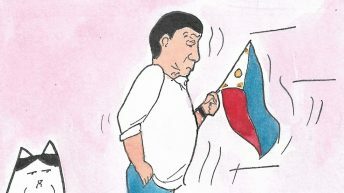 “But because of martial law, their mobility is restricted and they can’t look for them,” Bonganay said. Such is the dire need to assist evacuees in tracking down their families, some of whom may also possibly be dead. Bonganay said many children evacuees were not enrolled in school, which opened June 5. This, in spite of government assurance that they will be accepted in the areas where they evacuated, and even without the proper documents. Those staying in evacuation centers find this most difficult as it entails expenses, such as for transportation, new uniforms and school supplies. Many children end up just staying in the evacuation sites. “This greatly affects their survival and development,” he said. In most evacuation sites, there are no productive activities for children, and they mostly do nothing but wait for relief assistance, he added. 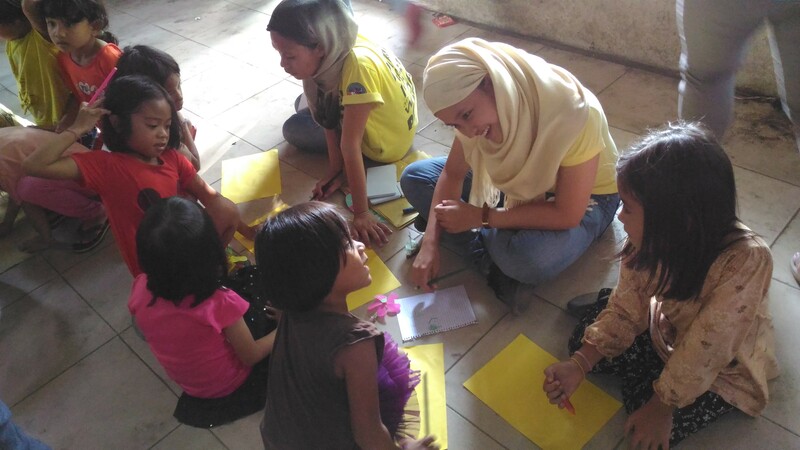 Bonganay said the adult-evacuees also joined in the sharing and art workshops of the children, eager to take part in any activity. 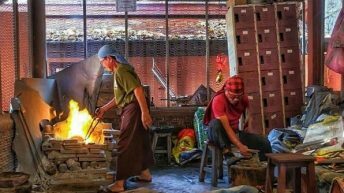 He pointed out that the NIHM was supposed to have a separate workshop for the adults, but the facilitators were caught up trying to secure safety passes from the local government, which took them almost a day. 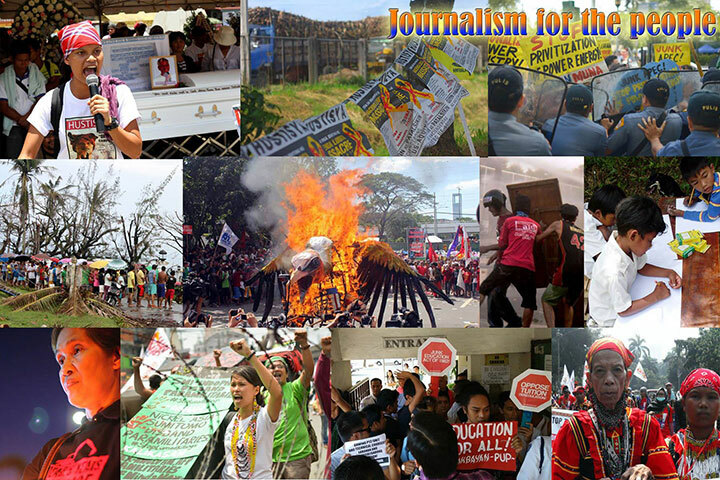 Those interviewed by the NIHM expressed that they want the conflict to end, and appealed to all Filipinos to help. But some children were even more specific: “They expect Duterte to fulfill his promise,” and they want him to rebuild their homes, Bonganay said. “They are hopeful, but they are also frustrated,” he added.